The World Press Freedom Day (May 3) served as an occasion for Armenian experts and chief editors to assess numerous issues Armenia is facing in that sphere. As Ashot Melikyan, Chairman of the Committee for the Protection of Freedom of Speech, says the committee’s study of 2010 revealed that media in Armenia are “in a dangerous transition zone from semi-free to not free”. In their reports on press freedom, international organizations place Armenia among the “not free” courtiers. Namely, Freedom House, an international human rights watchdog, in its report made public this week placed Armenia 146th on the list of 196 countries. “There has been a regrettable tendency of regression over the past few years. 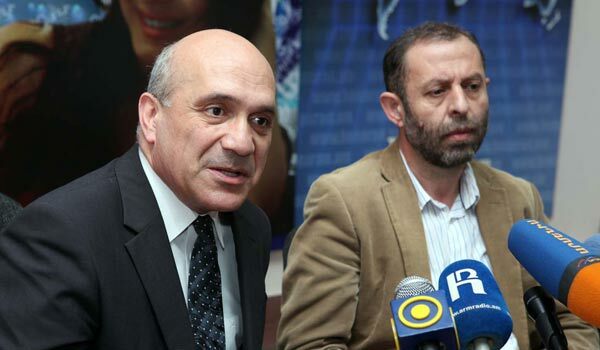 The situation is truly alarming, when outstanding representatives of political circles take active steps against mass media, especially print media proving, in fact, that the role of media is not really appreciated; they are not tolerant enough of criticism and would actually like media to be fully controllable,” said Melikyan during his meting with reporters, referring to lawsuits over the past year against some newspapers with considerable amount of financial compensations they were obliged to pay after acts of defamation and insult were decriminalized. Editor-in-chief of the Hetq online daily Edik Baghdasaryan said in response to the Ombudsman’s Council of Information Disputes founded recently that he objects to the Ombudsman defending the reporters’ rights. “We have to defend our rights on our own,” said Baghdasaryan. According to him, the fact that state structures deny access to information is a bigger issue. “It is practically impossible to get information from state bodies. When definite questions are asked, answers to those are never received, especially when related to corrupt deals, property of certain people, etc. To me the top issue in Armenia is that state structures are closed systems,” says Baghdasaryan.